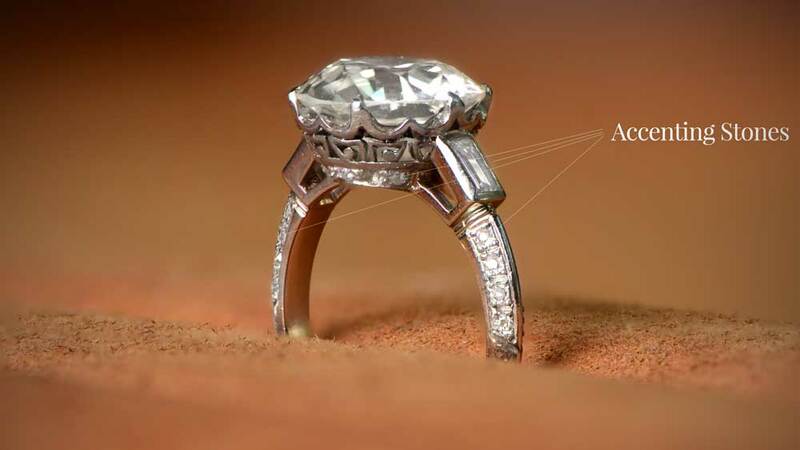 The jewelry industry is great at marketing its products. What it isn’t so great at, in line with just about everybody who has a commodity to sell, is advising the best way to go about making the right choice. This guide is intended to reset the balance just a little. The guide will cover everything from why we wear engagement rings in the first place to how you can maximize what you get for your money. Although we know that the “modern” history of engagement rings goes back to the early 13th century, the practice has actually been going on for thousands of years. In its simplest terms, an engagement ring was to display that the woman was already promised as a bride. 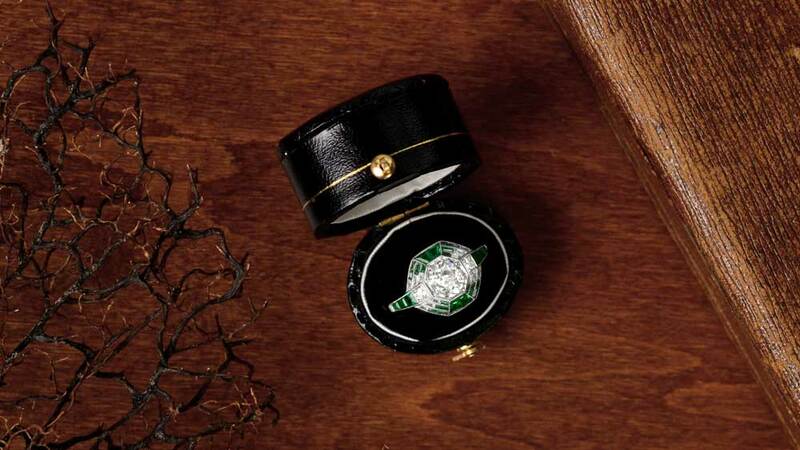 In a slightly sinister meaning, the ring also indicated ownership of a woman by a man. The concept of a ring finger started with ancient Rome. The Romans believed that the vein in the fourth finger led directly to the heart. For this reason, engagement rings were placed on this finger and have remained there ever since. In the middle ages, when engagement rings came into common usage in Europe, they were commonly simple metal affairs. Some would have jewels in them, but this was restricted to the nobility. Over time, it became permissible for the middle classes to also use gemstones in jewelry, and forms the basis of engagement rings as we know them today. The first use of diamonds in engagement rings came during the 15th century. For the next 400 years, however, any gemstone could and would be part of any ring. 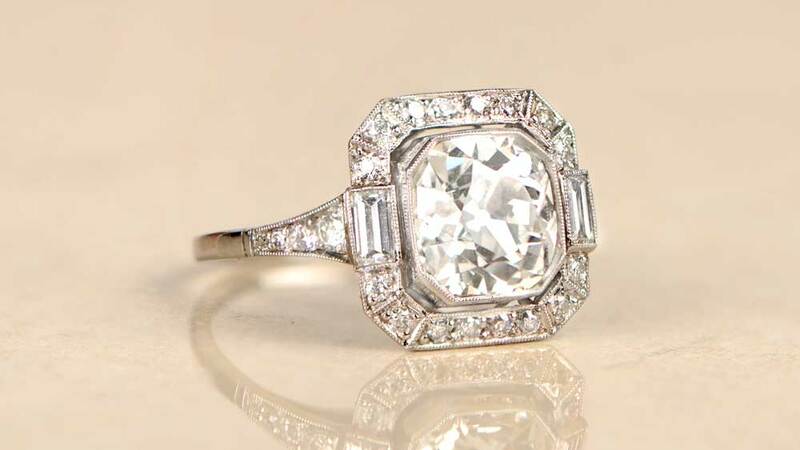 Diamonds didn’t become the de facto engagement ring stone until the early 20th century. For a more information on the whens, whys, and wherefores, take a look at our History of the Engagement Ring. It used to be that an engagement ring was “A month’s salary which lasts forever”. But, eventually, people got a little more ambitious, and the marketing strapline now demands three month’s salary be spent. But is that true? After all, how many people today just happen to have that much money lying about with which to buy a ring? Alternatively, if your salary isn’t particularly high, might that limit your options? The simple fact is that you should only ever spend what you can afford. It might sound romantic to go the extra mile (and spend the extra dollar) for the woman you love but don’t. The last thing you need is for an engagement ring to be a constant reminder that you couldn’t afford it in the first place. It doesn’t matter if it’s the equivalent of one month, three months or ten years salary. Only spend it if you have it to spend. The average cost of an engagement ring in the US is in the region of $6,000. 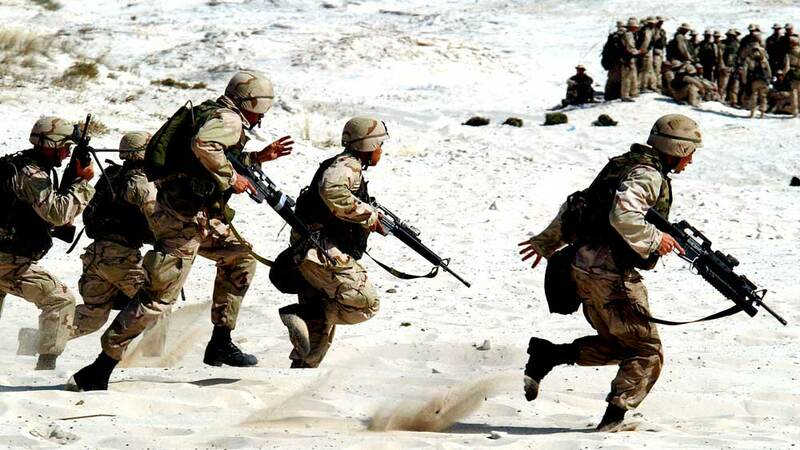 Whether you think that is a lot or not depends entirely on your circumstances. However, it is not a trivial amount of money. Fortunately, for $6,000 to be the average, it means a lot of people paid a lot less, and there are plenty of options available for those with smaller budgets. But, stick with what you can afford, and you won’t regret it. If the woman you love is more concerned with the price of the ring over what it represents, perhaps you should just save your money. An engagement ring is a demonstration of your love and a signal of your intent to marry someone. You should have a beautiful engagement ring, of course, but it also needs to be one you can afford. We strongly advise using our comprehensive engagement ring budget calculator before settling on a budget. The 4Cs of a diamond is what we use to grade and value a single stone. The Cs stand for Color, Cut, Clarity, and Carat (weight). The basic rule is that the higher up each grading scale of any C is, the more expensive the diamond will be. It is a little more complicated than that, in reality, as a particularly high grade in one can offset a slightly lower grade in another. Diamonds actually come in all colors. When we talk about diamonds, we usually mean a white or colorless diamond. It is white diamonds which are graded using all 4Cs. For “fancy” colored diamonds, the color alone is often the key element of the stone. In such cases, the clarity may not be quite so important. 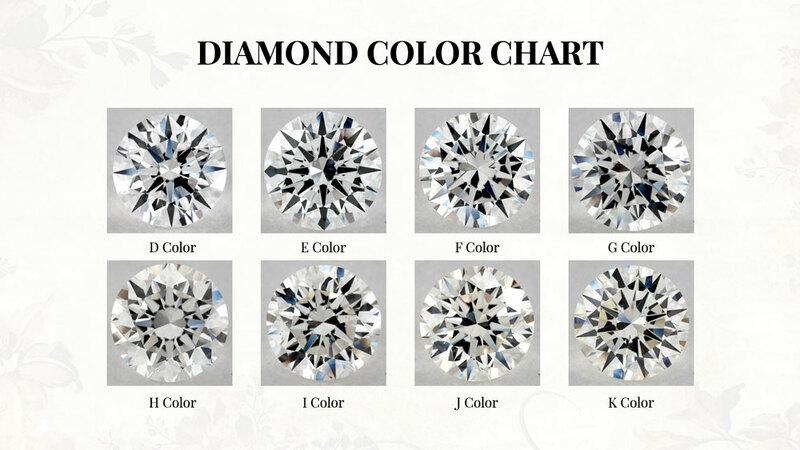 The color scale for white diamonds runs from D to Z. D color is absolutely colorless, and Z will have a significant yellow tint. To the untrained eye (which is almost all of us), any diamond down to around J color will appear colorless. Beyond this, the yellow color, often present in white diamonds, becomes more noticeable. The cut is a little more complex. The cut grading scale, as devised by the Gemological Institute of America (GIA) has very exacting measurements it requires for the cutting of any diamond. Everything from how big the table is, to how much of the height is used above and below the girdle or the number of facets the diamond has will decide the grade. With the advent of modern laser cutting techniques, the accuracy of new cut diamonds is much greater than it was even up to as recently as 20 years ago. Before that time, it was the skill of the cutter which determined the grade. For antique diamonds, the cut is often not graded, as there were no standards at that time, and so cutters used their own proportions as they saw fit. The clarity of a diamond is a measure of how many flaws the diamond has within its structure or on its surface. The more flaws, the less light is able to reflect back out to the viewer’s eye. Diamonds with lots of flaws appear duller and have less sparkle than one which is flawless. In a similar way to how color in a diamond is not always visible to the naked eye, the same applies with the clarity. The grade runs from Flawless (F) to SI2 (Slightly Included Level 2) with several levels in between. Grading is done using a 10x loupe, or magnifier. This means even down to SI! grade, flaws will be undetectable without magnification. Click here for the complete guide to understanding diamond clarity. The easiest of the Cs to quantify is the carat weight of a diamond. Although technically a measure of mass, rather than actual weight, 1 carat is equal to 200mg. Around 90% of all cut diamonds weigh under 1 carat. 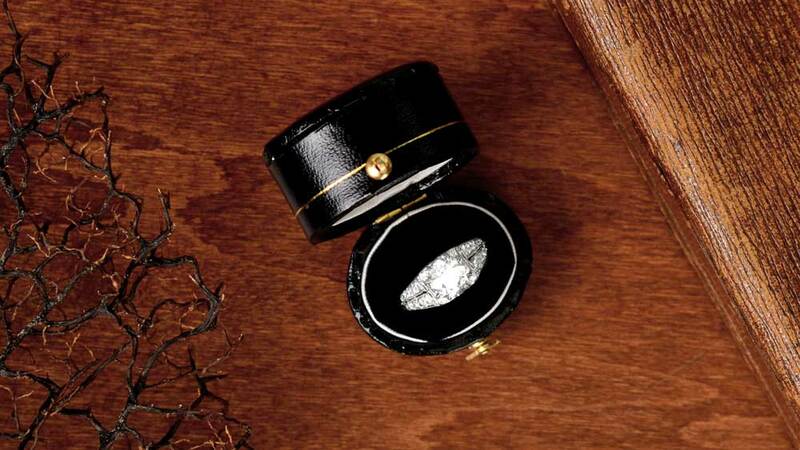 This makes large diamonds increasingly rare as the size goes up. It also, of course, makes them increasingly expensive. From a rough crystal to the finished cut stone, a diamond will lose up to 2/3 of its original rough weight before making to market. For a more comprehensive look at what the 4Cs are and how they affect the price of a diamond, see our Complete Guide to the 4Cs. Although the grade of the diamond will determine its value there are other, less tangible, factors to take into consideration. To buy well usually means to buy smart. Including consideration of the following in your search will help you to buy smarter. Diamond fluorescence is a topic which often flies well under any buyer’s radar. If you’ve ever been in a room where there are ultraviolet lights, often called black lights, present, you will notice something. Clothing (and even teeth) can suddenly appear to be glow bright white. There are different factors depending on the material glowing, but it all comes down to some light being reflected and some not. Not all diamonds fluoresce under UV light, and there’s no hard and fast rule as to whether it is a good thing or a bad thing. For colorless or near-colorless diamonds, high levels of fluorescence are undesirable and detract from the quality of the diamond. Conversely, diamonds with some yellow tint will actually appear whiter than they really are. This is because UV light is at the opposite end of the scale from the yellow light, and so cancels out some of its effects. Daylight, of course, has high levels of UV light within it, and so slightly yellow diamonds can look better in everyday use. All jewelers will carry a black light for their own testing, so don’t be afraid to ask about the fluorescence levels of your chosen diamond. Also, fluorescence is most obvious from the underside of the diamond, rather than from above. A major factor in the beauty of any diamond is how it reflects light. The cut of the diamond becomes the most important aspect when we talk about how the diamond uses the available light. The modern cut grading scale is based on the perfect proportions to maximize the brilliance of a diamond. Brilliance is how much colorless or white light reflects back to the eye. This is the sparkle you will see on a well-cut diamond. Fire is slightly different in that it is decided by how much-colored light is reflected. Usually, this will be a combination of yellow, red or orange light. Hence the “fire” of the diamond. Before modern cutting practices emerged, diamond cuts to maximize the available light, which usually meant candles. Diamonds were cut to produce a true fire effect in the limited light. Whether you prefer brilliance or fire is up to you. Just bear in mind that in general, the older the diamond, the more fire it will have and, the younger, the more brilliance. We’ve already mentioned how old cut diamonds can differ from recent cut stones in appearance and the type of cut. Vintage and antique diamonds long predate the modern round brilliant cut which dominates today. This means that they were all cut by hand, relying on the eye of the cutter for the remarkable precision they have. For larger vintage diamonds, the Old European cut was common. This, in itself, was the forerunner of the modern round brilliant cut and forms the basis of the modern round brilliant cut standard. Every vintage or antique diamond is unique and has a story to tell. They have the character which today’s laser cut stones often can’t produce, and have a different kind of beauty steeped in history. There are more elements to an engagement ring than many people realize. Most think it is simply a diamond on top of a band. That, actually, doesn’t give sufficient credit to the maker for the skill required in bringing all the different parts of the ring together in the best way possible. On top of the pile, of course, is the center diamond. It is usually set in either prongs or a bezel. Prongs are, as they sound, think prongs of metal used to grip the diamond in place. They allow more of the stone to show and work particularly well with diamonds. A bezel is a continuous ring of metal surrounding the diamond completely. This method is far more secure than prongs, which can snap, but also shows less of the diamond. Depending on the design, under the center stone may be a gallery of other diamonds. Alternatively, it may be open filigree to add delicacy and elegance. At the sides of the gallery, leading down from the center stone to the band are the shoulders. These often contain small diamonds to provide a visual lead for the eye up to the top of the ring. Finally, we have the band itself. Technically called the shank, the word band has come into much more common use in recent decades. 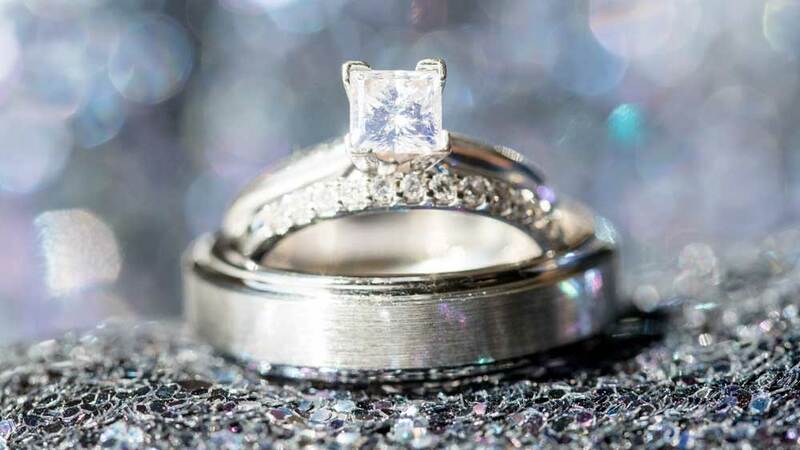 There are no rules on which metal should be used for which section of the ring design, but it is usual for the same metal to be used throughout. There is a more in-depth look at what makes up a ring in our Anatomy of a Ring article. For more information on the vital role of the Kimberley Process, you can read our comprehensive explanation of the process and why it is necessary. Diamonds are, like any commodity, bought and sold according to market forces. Sadly this means that there will always be someone looking to exploit things for their own gain. Even worse is the fact that we’re not talking about someone looking to sell the odd stolen diamond in a bar. With diamonds, we’re talking about stones mined using children in horrific conditions, in order to pay for a civil war or other conflicts. The Kimberley Process was agreed by major diamond producing and buying countries to try and eradicate these so-called “blood diamonds” from being traded. The process has helped to reduce the number of diamonds funding conflict worldwide. To comply with the process, all diamonds must be certified with their origin being clearly demonstrated. Without this certification, the diamonds cannot legally become available on the open market. Some still do make it to market by other means, but any reputable dealer will not buy or sell them. The Kimberley Process is the first step to buying ethically sourced diamonds. If your dealer cannot produce evidence that the diamond he is selling is ethical, you should avoid buying it. The word vintage can actually mean many things. With wine, vintage simply means a year of production, for example. For cars, it can mean different things to different people. For jewelry, though, the lines are a little more clear. We only really class vintage jewelry as being over 60 years old and less than 100 years. Older than this, the jewelry becomes antique. Younger and it will usually have a more generic period name. Within the vintage era for jewelry, we have great periods such as art deco and art nouveau. These two periods largely defined the rules for the style we have today. However modern something may look, there’s a chance that it has its design roots in one or the other. 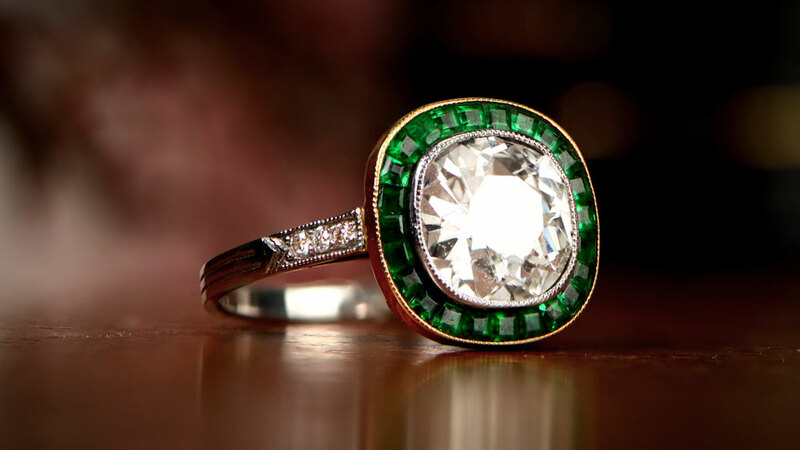 This makes genuine vintage engagement rings very desirable and much sought after. Unfortunately, as we go through the 21st century, fewer and fewer true vintage rings are available. This is because a lot of the diamonds in the original rings have been re-cut to modern standards. Although this re-cutting might sound like a good idea, it also means that the diamonds lose some of their charm and character. It also means that the original rings often get melted down for the metal to also be reused. This is a great shame, as vintage rings have a certain style and elegance which modern techniques often can’t reproduce. When looking for an engagement ring, consider a vintage example. They are often less expensive than you might think and will be absolutely unique. Diamonds can be expensive, that’s no surprise. But did you know that you can get a lot more for your money just by being a little savvier? We’re not talking about haggling with the seller, although that’s always worth a try. Instead, we’re talking about changing your approach to getting the diamond you want. Above, we’ve talked about the 4Cs of diamonds. But did you know that each and every one of them can help you in its own way? Instead of buying a D color diamond, which will be hugely expensive, step down the scale a little. Look for H or I color diamonds. They will be a fraction of the cost of the D color stone. Similarly, look for a VVS2 (Very, Very Slightly Included) or even SI1 clarity grade. It’s almost certain you won’t see any flaws that may be present, and the diamond will still sparkle brightly. The cut is a little less flexible. It’s probably best not to dip below the second grade of Very Good, but these will be a lot less expensive than an Excellent cut standard diamond. Put all these things together, and you can knock up to 90% off the price of a comparable D color, Flawless diamond. The weight of the diamond can also work to your advantage. To get the best state deals, think about buying online, as dealers not paying for bricks and mortar storefronts often have lower prices. Other dealers, though, tend to use the traditional way of pricing diamonds in bands. This means that a 1.49ct diamond may well cost the same as a 1.25ct, as the next price band will start at 1.50ct. Each dealer may move the edges of the price bands, but the principle will remain.